Why are cameras for kids a good idea? Whether you're struggling to find something to keep a child busy, wish to spark a lifelong love of an exciting hobby, or hope to stimulate learning through a less traditional approach; photography, especially with a digital camera, may be at least a partial answer. 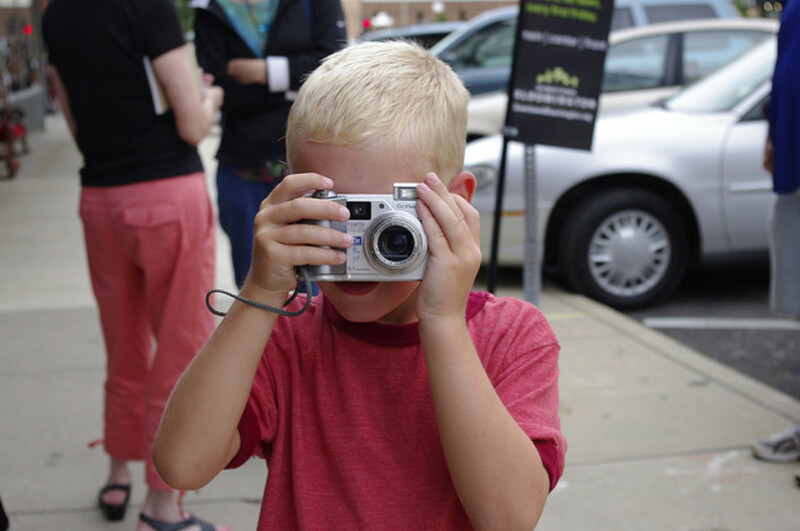 Learn more about the opportunities and the advantages of putting cameras in the hands of kids. Find out how to choose the best cameras for kids and discover some great activities to keep them learning and having fun. There are a number of reasons why cameras for kids are a good idea. Involving children in learning basic photography and giving them the opportunity to experiment with it can stimulate learning in a variety of ways. Observation and concentration skills can be enhanced. Creativity and imagination can be stimulated. The possibilities are endless, and the lessons more engaging, when kids use a camera. Obviously, getting the tools is the first step in the process of introducing kids to photography. How much equipment is involved depends in part on the age of the child. For children as young as 3, a basic kids camera will be about it; along with some batteries. Aside from an appropriate camera, tweens and teens may need an appropriate camera bag, a tripod, lens attachments, photo editing tools, a computer, and possibly a printer depending upon interest and skill. The child can see what they capture without the delay of printing, allowing immediate learning of the process as photos are reviewed instantaneously. The cost of printing unacceptable images is held eliminated. There are more options to share photos and create projects beyond a photo album; slide shows, online photo sharing, e-mail, and so forth. The child can also learn photo editing skills and have more control over their creations. The VTech Kidizoom cameras are a good choice for preschoolers. 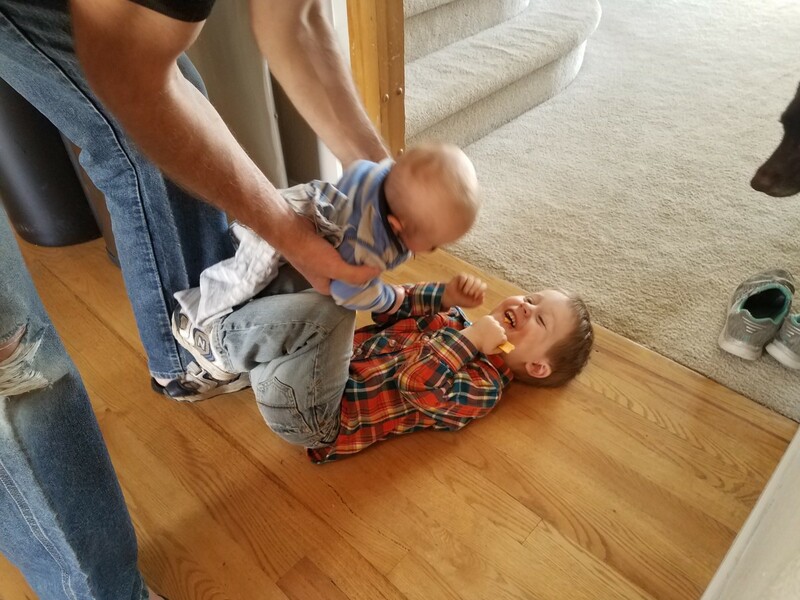 They have an easy grip and stand up to being dropped. My niece had one of these and it held her attention for much longer than I believed possible. She photographed family members at get-togethers, her pets, illustrated a story, and captured memories of family vacations. Photo quality was acceptable although lighting needed to be adequate. Cameras for kids who are slightly older (school age) should probably include more features. If holding down costs is important then hand me downs or refurbished cameras can be acceptable alternatives. For some kids, disposable cameras are also an option. Waterproof cameras can be great if your child is more adventuresome. Basic point and shoots suffice for many school-age kids. They run the gamut from very basic to having all kinds of manual controls, high resolution, and outstanding video. Determining how much to spend can be based at least partially on skill and safety in handling cameras as well as interest level. The Nikon S33 is an example of a budget-friendly device with point and shoot simplicity and a rugged build to withstand a little bit of abuse. if they are really enjoying photography plenty of manual controls to allow them to vary shutter speed, aperture, ISO, etc. Camera bags and tripods can also become necessary of course. DSLR models are certainly appropriate for older kids who want and can handle plenty of manual controls. For a tween or teen not really needing a full-featured camera, I would recommend the Canon Powershot Elph 360. It is one example of a pocket-sized point and shoots with a macro mode, Wi-Fi for easy sharing, great image quality, and video. 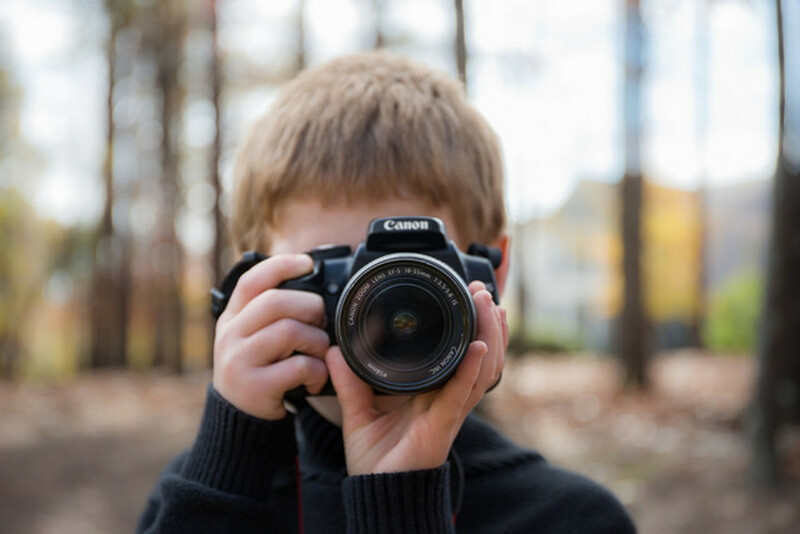 The age of the child and the abilities of the camera will dictate some of the teaching and can determine what types of activities are appropriate beyond this point. 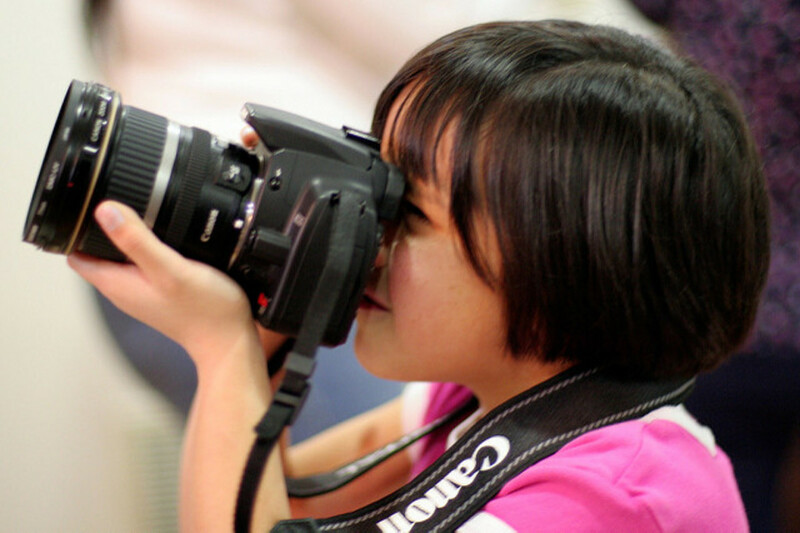 Lots of Tips for Kids learning how to take a better photograph. Canon and other manufacturers offer online courses. For teenagers who are more advanced, these may also be useful. Kids can be motivated when creating things for a younger brother or sister. One possible project is to make a list of items that begin with each of the letters of the alphabet, seek out and photograph those items, and fabricate an alphabet book. A somewhat more advanced project would be the development of a story book. For instance, a child could follow a sibling or even a pet for a day, taking pictures and then using those images to create a short story for a younger child to enjoy. Storytelling and imagination are just two of the skills that can be enhanced by such activities. Of course, kids can also use a camera to keep their own photo journal of vacations and trips, large or small. A record of such events may well become a keepsake which would be further enhanced when accompanied by written entries. A more advanced journal activity can help to broaden a child's interest in travel and geography. For example, a cardboard character could be made to go far beyond where the child may go. Initially, the child could take the cardboard character on excursions and photograph it along the way, developing a travel book detailing its adventures. 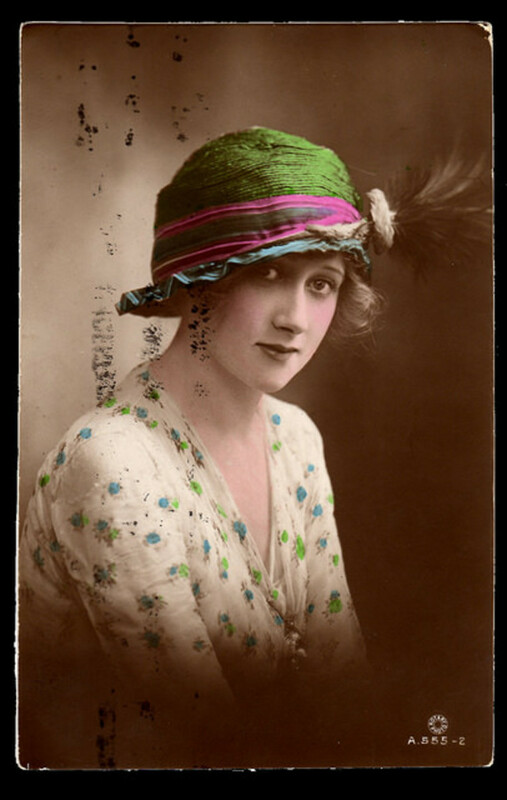 The character could also be supplied to friends and relatives who may be traveling. It could be photographed at the various destinations. The character's human travel companion could then provide a picture with a brief written description of the location to the child who can then place it in the character's travel book. 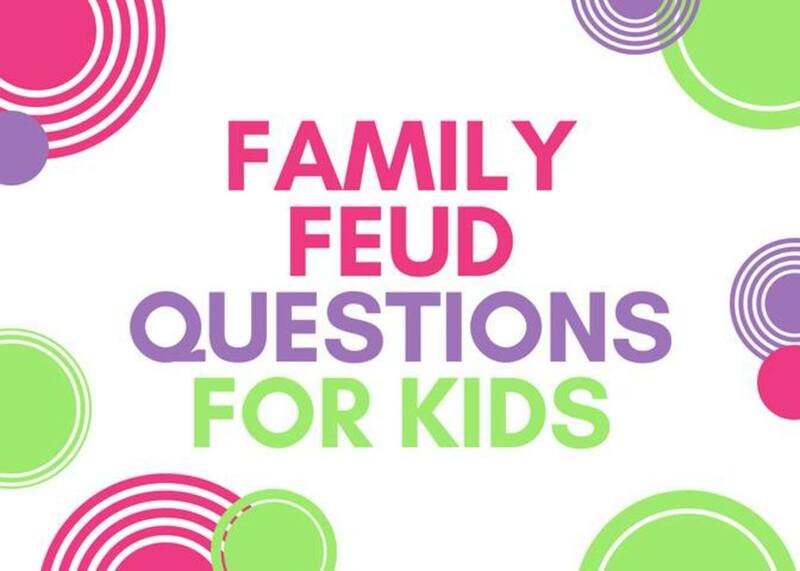 A contest between family members is another possibility. Each person making their own collection of images from a day out. Raising an awareness of science and nature comes quite naturally with a digital camera in hand. Collecting insects, leaves, rocks, or flowers via photographs is more simple and lasting than capturing live specimens. The camera also allows children to capture what would otherwise be unobtainable: animals, sunsets, waterfalls, footprints, and so forth. 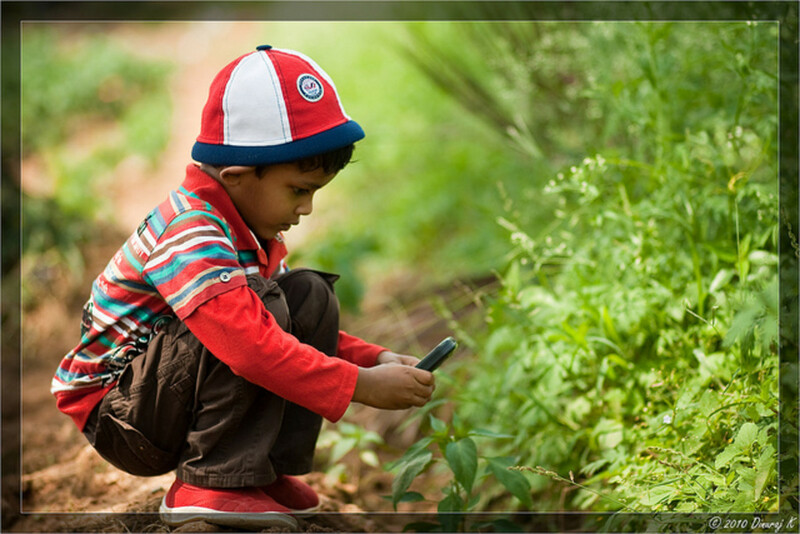 With photography, children can also study many of the processes of nature. As an example, a child can follow the development of a new born kitten over time, a flower as it grows, opens, and closes in the morning and evening, and so forth. 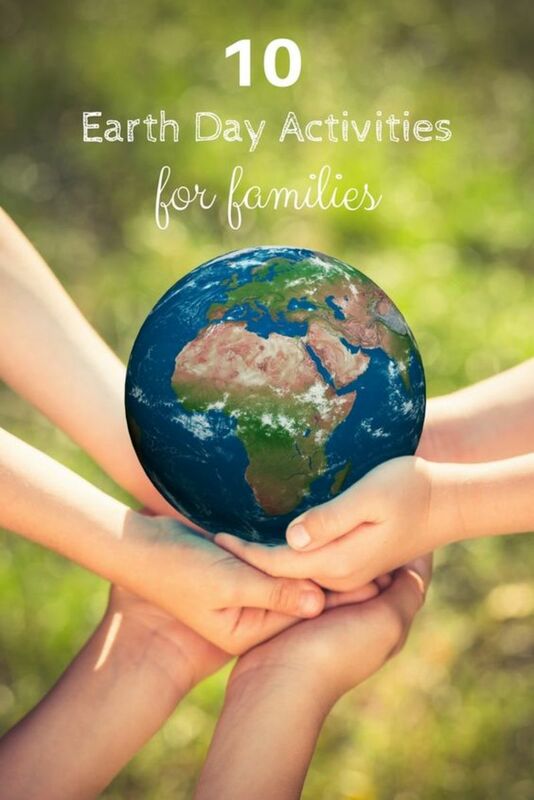 Activities such as this encourage good attention and fosters an interest in sciences. School-age kids have even more options. One possibility is to ask them to put together a family history book complete with photos and the inclusion of a short biography of each family member. Some kids, with experience, can even take on the role of the primary recorder of family events. Publishing a monthly newspaper complete with pictures can be a great summertime project for older kids as well. 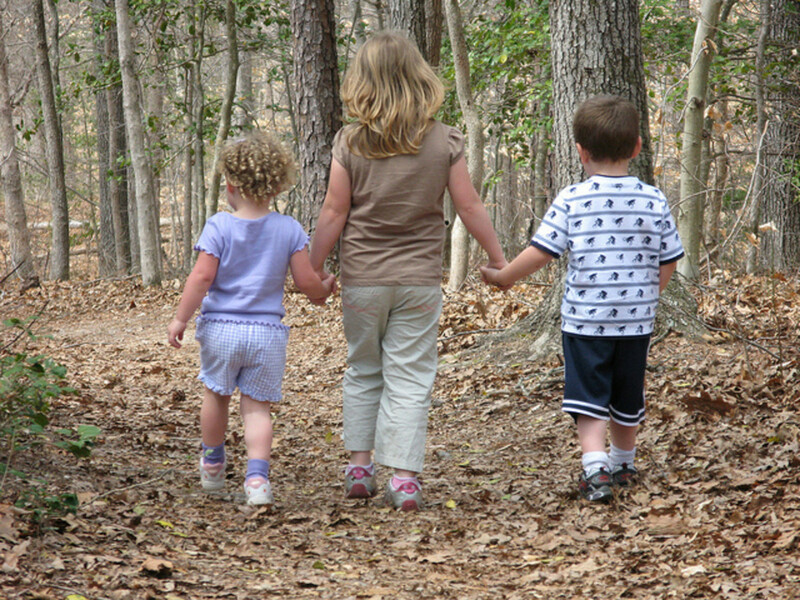 Cues can be taken from local publications as to what sections and articles should be included but they can be scaled down to a more personal level: from reports on a family trip, new neighbors, the escapades of a family pet, or recent events such as the purchase of a new car are examples of stories that could be enhanced with a picture and included in the publication. Telling stories with pictures can stimulate learning. A basic digital camera can be used to create a sequence of pictures to tell a story. The process of creating a basic story and determining how to depict it is challenging. The fun begins when others try to tell their story without the presence of words. 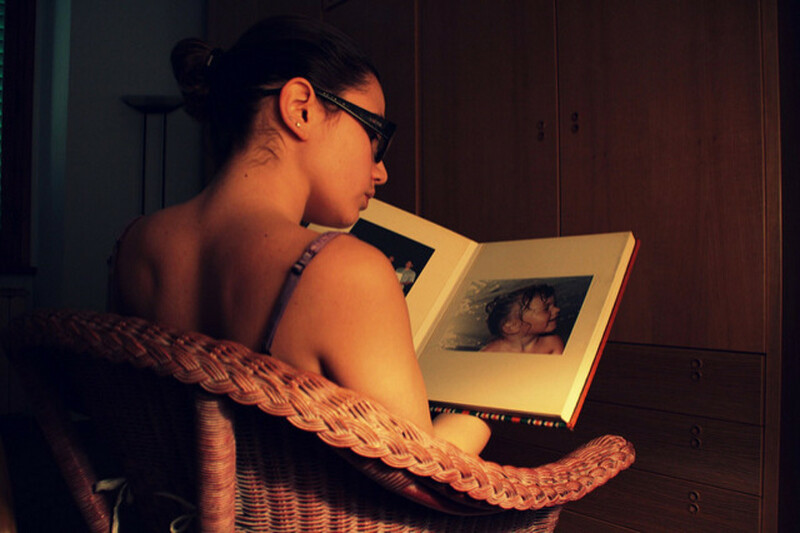 An adaptation of this project can help to develop the critical skill of reading comprehension. In this activity, the child is provided a short story to read. They are then asked to illustrate it with a handful of photographs using family members, pets, props, costumes, drawings, and so forth if needed. One possibility is to encourage a child to develop a how-to or instructional guide to share their love of a hobby with others. How to build a rocket, grow a vegetable garden, or how to raise a ferret are examples that would allow a child to put together an illustrated, step-by-step guide; encouraging good verbal expression and organizational skills. Additionally, a camera can sometimes guide a child to study things in greater depth and perhaps discover new, adjacent interests. 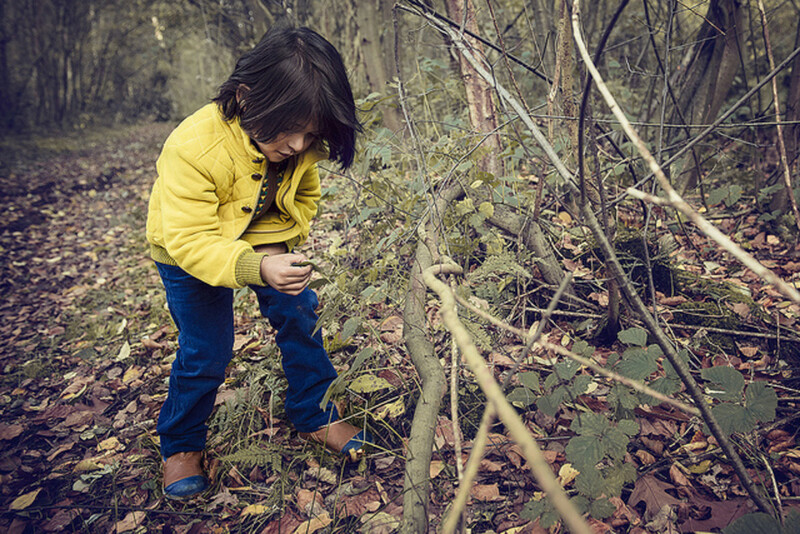 For example, perhaps a child is fascinated with butterflies or spiders. They can start by photographing them, and while learning to name the particular species, learn their characteristics, what they eat, where they live, etc. As they are out and about they may expand their interest to other insects or the flora that surrounds them. The camera can be the device that focuses their attention and expands their interest. Many traditional games can be adapted to incorporate the use of a camera. For instance, "I Spy" could be modified. The game leader could say "I spy something red" or "I spy something soft" and then each person has to photograph one thing that fits that description within 3 or 4 minutes. At the end of the game, the player who was able to photograph the most items that fit the descriptions, wins. Scavenger hunts are another possible game to adapt. The game leader makes a list of 10 items. Each player is given the list and a set time to find and photograph those items. At the end of the allotted time, the player who photographed the most items wins. This could be done with items around the house or in the yard, in the neighborhood, or at a park while on a hike. 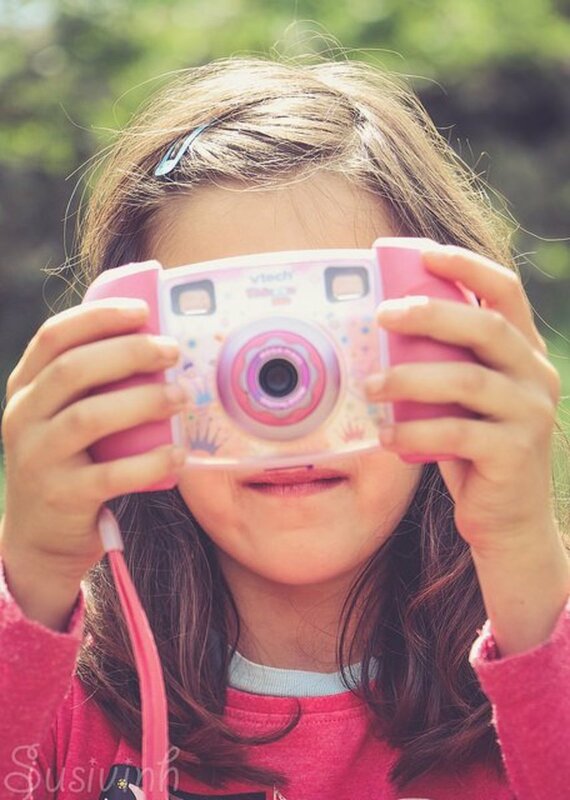 Taking an old digital camera and providing it to a child is a great way of making use of your camera and an inexpensive way of promoting their interest in a hobby or learning activity. If you don't have a child to pass your camera down to, there are other options. One example is 100Cameras. The donation of equipment helps the organization work with kids in traumatic circumstances around the world. 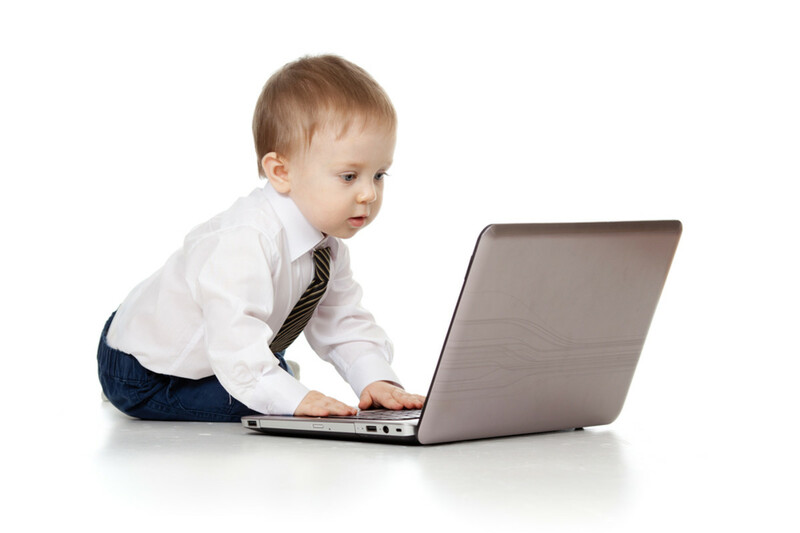 Young Children and the Internet: What Puts Them at Risk? Cameras for Kids: Was This Page Helpful? Let Us Know! I was a little discouraged because I couldn't find a lens with what I needed to know. Then, I discovered this lens and now I am happy. It doesn't have all the info I need but what a great job of steering me in the right direction. Angel blessed. Thanks! Brilliant work. Thanks for sharing it. Awesome lens! Thanks for sharing! Yes, very helpful - thanks! It's funny, I ask my teen daughter what features she was hoping to have if I got her a camera of her own. Of course the first thing on her list was - "It has to be pink!!" Great lens, I agree that cameras are a great gift and learning tool for kids. Fab lens 5 stars and added to my favourites. This is a great lens! With prices dropping, it is possible to get cameras for kids and you have great advice here. 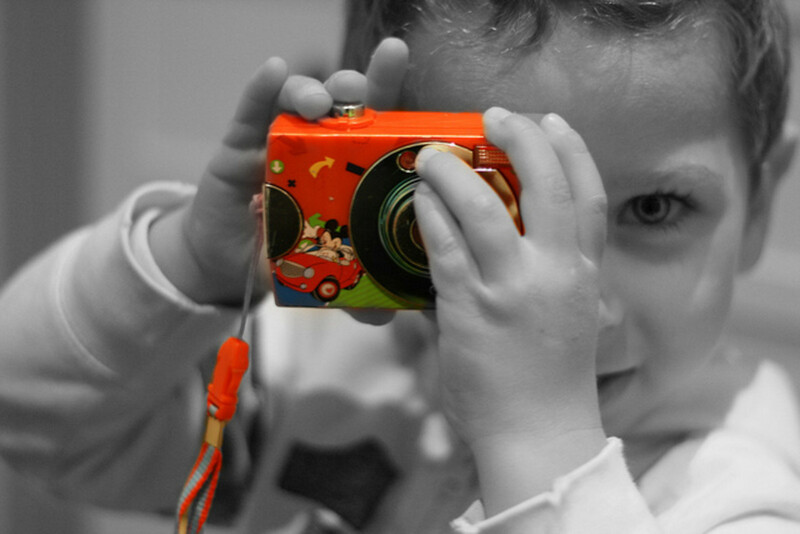 Well worth reading for any parent (or relative) thinking about a camera for kids. I'm thinking about a camera for my son for Christmas, loved the info you have here. Wow - in depth page! Good work. We're looking into buying a camera for our turning-4-yr-old son. Thanks for these great recommendations on cameras for kids. You are so right, the camera can open up a whole new world to the curious mind and eye of a child. A camera would make the perfect gift for a child of any age. Really great lens. Five stars. My 2yr old soon to be 3 yr old loves taking photos - so we are considering buying her a camera for her birthday. Will definitely come back to this lens for further research! Thanks for sharing. I think that this is a most fantastic lens! Maybe my kid could teach me how to use my camera!!! haha...I never knew that so many cameras geared toward kids existed. 5 stars and a favorite! Great &amp; informative 5* lens...I think this is a great idea...we recently upgraded cameras and gave our lads our old one...they love being creative and taking their own pics! p.s your avatar always makes me smile...thanks for popping into my Christmas lens and saying "hi"!...I appreciate it! With 5 kids you can imagine how many pictures we take. 5 stars for the idea!! Great ideas here! 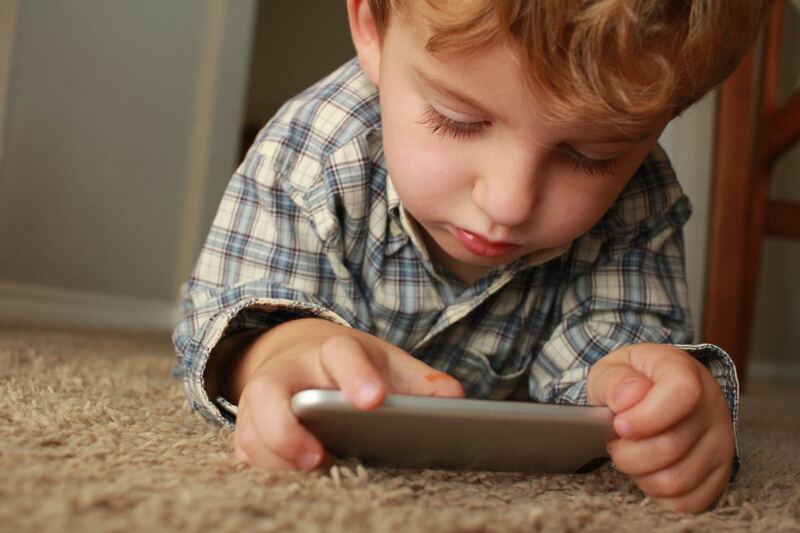 Our children are much more motivated by video, pictures and sound than print these days. Great ideas! Excellent lens-- 5 stars! This is a great idea to spark something in your child. Loved how you presented this lens. A very interesting lens. My little one is so interested in my camera that it might be a good idea if Santa would decide to give her one for Christmas. I really should check if there is something proper for her age. I think that Santa might give my 7 year-old a digital camera for Christmas, if he can find one that's not too expensive. I forgot to mention, I am added this lens to my lensroll for my timeless toys kids love lens. I think cameras are a good one to add. Excellent lens! 5* My seven-year-old son loves my camera and I'm amazed at how well he already does with it. Great information! Thanks for this five-star lens. I'm glad I stumbled upon this lens. My wife and I were just talking about getting our son a digital camera fit for kids. Nice job! Thank you mulberry, for the link! I have featured this lens on my recycle camera lens as I think they compliment each other nicely. I'm a big fan of your work. This is such a great lens! All 4 of my kiddos LOVE taking pictures. Fortunately, their Grandpa is a very gifted photographer and is teaching them well. I love this lens. What a great idea. I bought my niece a cheapy digital camera and she uses like crazy. Our family had a reunion and all the children were given Kodac Funsaver cameras to record for themselves what they wanted. They had fun!! Some good shots too!! Thank you for following the progress of some of my lenses. I have noticed! 5 stars, favorite, lensrolled and I am already a big fan of yours. Great lens. My 20 month old daughter has an old digital camera of mine. OK so not the best shots, but she absolutley loves it and likes pretending to take snaps. I wish these were available when I was a kid! I saw a really cute spiderman camera that I would have absolutely loved to have! Great lens! Cameras are great for illustrating books and reports that children write when learning. When I started allowing the children to use a digital camera it was amazing the amount of writing they produced. Some virtual unschoolers came over to check out your lens. They are so excited about the ideas that you present that they are sending you a virtual trip back in time where Garner Rix will help you explore the 1780's. Thanks for the lensroll! ditto for you :) Yesterday I went for a walk with my 10 yr old grandson and gave him my camera to take pictures for me. We had a great time working as a 'team'! Kids LOVE to take pictures. Great lens for shoppers, parents, aunts, uncles.. everyone! Hi Mulberry! Thanks for the comment on one of my lenses. I am sending you an email about the comment you made! Nice lens by the way! I am rating it a 5er! Above and beyond with this lens! Lovin' all your expertise and knowledge about this subject. When our son got his first camera I thought I would go nuts with the surprise shots from 'round the corner, etc. What I realize now is he loved his mom! As you have pointed out, a child can learn so much. And have a very enjoyable time as well. I love the detail you have taken not only with this lens, but with all of them you have created. *****You are an outstanding Lensmaster! 5* I remember my first camera. I took pictures of all my books, toys, and all the animals we had. My 7 yr old granddaughter has her own digital camera. She takes it everywhere and takes care of it so well. Her creativity is helping us all think outside the box! Great content. I agree, photography is something kids can enjoy. You have some excellent photos as well. OOoo...great lens! Nice of you and Paul to visit my kitties! 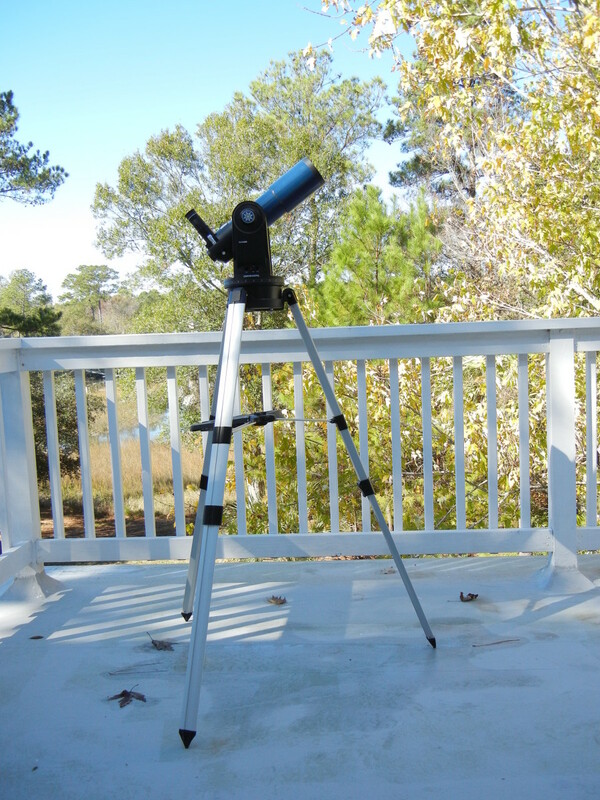 This is a fabulous lens for kids; I'd love to have you join our homeschool unit studies group! 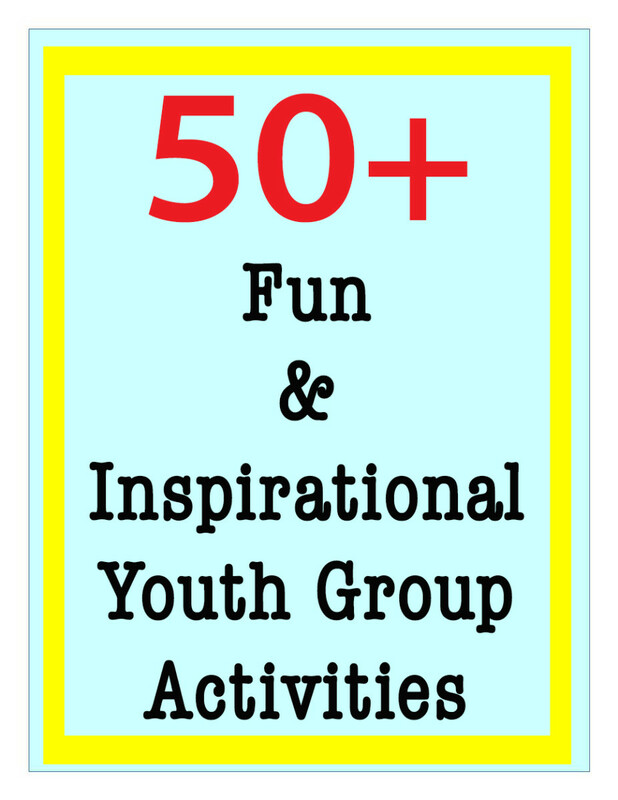 Great ideas here for moms, public &amp; homeschool! Consider yourself invited! Terrific lens. Both of my sons have won awards with their photography in the past. So glad to see you promoting this great hobby for children. Nicely done, mulberry! Love the photo in the introduction. Lots of valuable info here.